I have a fun DIY toy pattern for you today. 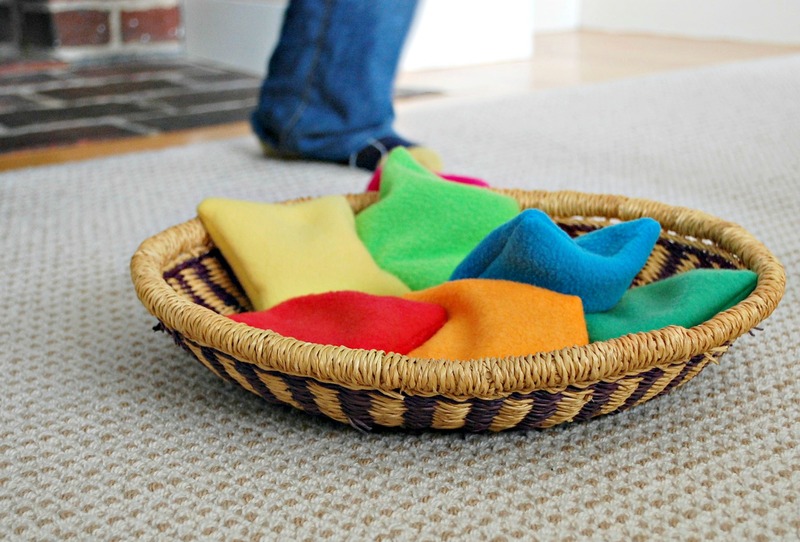 Use some scraps of fabrics in a rainbow of colors to make a set of bean bags. You can whip these up in an afternoon, and kids can help if they want to. There are so many ways to play with these. You’ll need a variety of 9″ x 9″ fabric scraps, all-purpose thread, and some poly pellets (or use rice or lentils). 1. Cut you fabric into two 4 1/2″ x 4 1/2″ squares. Place them right sides together. Using a 1/4″ seam allowance sew around all four sides, leaving a 1″ opening for turning. 3. 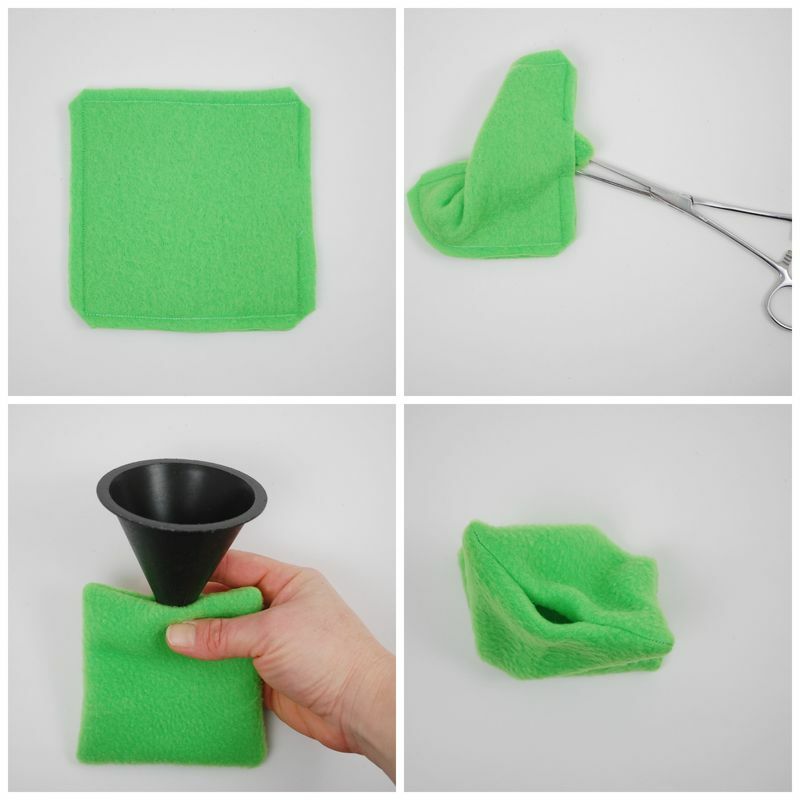 Use a funnel or a spoon to fill the beanbag with poly pellets (or rice or lentils). 4. Sew the opening closed with ladder stitch. (Watch my 2-min. ladder stitch video here.) Be sure your stitches are secure. *Just a note. 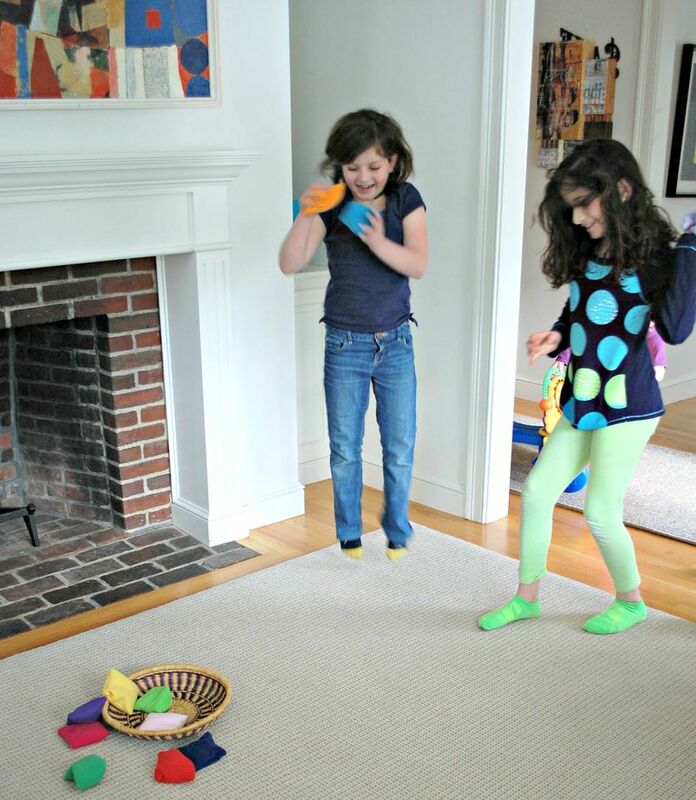 After I took these photos the girls begged to be able take the basket of bean bags upstairs to play and they were up there happily for THREE HOURS. Sometimes the simplest toys are the truly the best. Three hours?!? Whoa. Best toys ever! 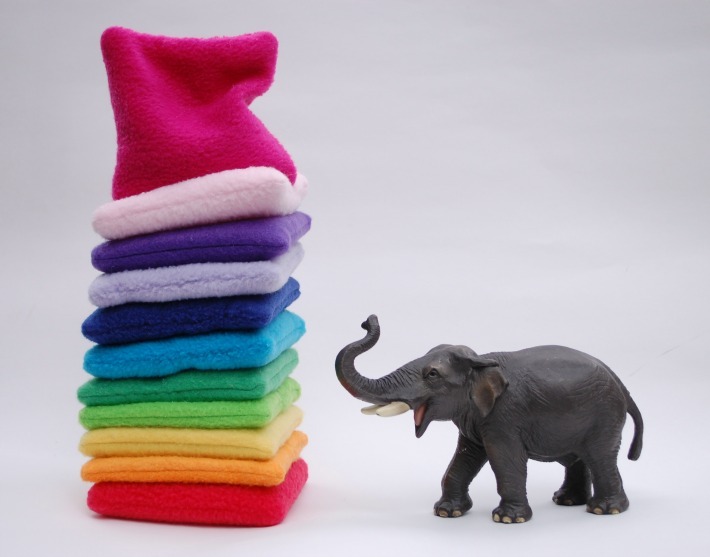 There’s something very fun about putting things in rainbow order, for sure. 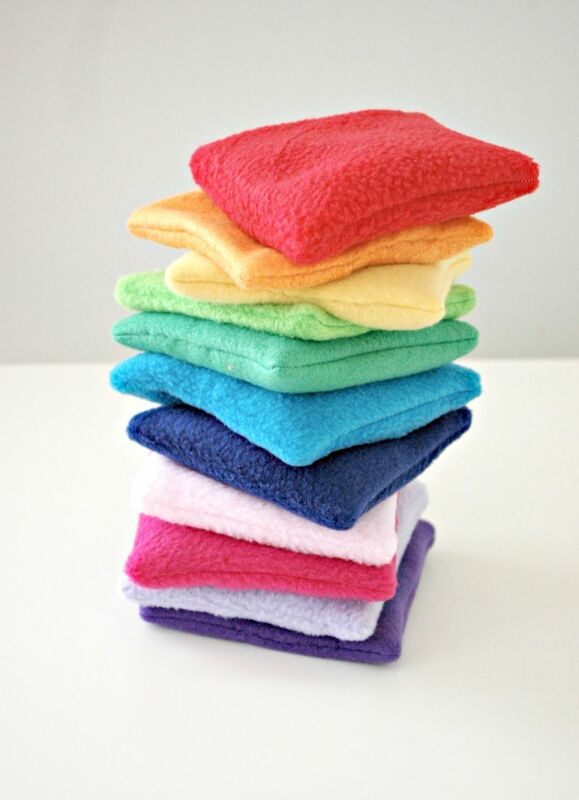 Really cool and adorable tiny bean bags perfect for kids and pets for a happy and fun filling time pass games! I absolutely love these beanbags! Thank you for sharing. Could you please tell me what type of material you used?